Last week brought a few books, including a book I’ve been wanting to read that I received as a gift. The week was busier than I expected and I didn’t finish a review, but I have been working on a review of Darkwalker by E. L. Tettensor as I’ve had some time. In case you missed it, a giveaway of 3 copies of Long Black Curl by Alex Bledsoe went up last week and will be open for entries through July 17. This retelling of “Twelve Dancing Princesses” is an anniversary gift from my husband. I’ve heard it’s excellent and have been wanting to read it for awhile. I have the hardcover edition, but it was released in paperback last month and is also available in ebook and audiobook. 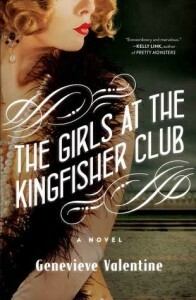 An excerpt from The Girls at the Kingfisher Club can be read on the publisher’s page for the book. From award-winning author Genevieve Valentine, a “gorgeous and bewitching” (Scott Westerfeld) reimagining of the fairytale of the Twelve Dancing Princesses as flappers during the Roaring Twenties in Manhattan. 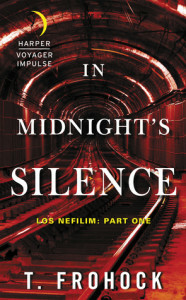 This first book in a new trilogy of novellas was released in ebook last month. The second book, Without Light or Guide, will be available this fall. I loved T. Frohock’s unique debut novel, Miserere: An Autumn Tale, and am quite excited about her new series! This debut novel’s official release date is July 14 (trade paperback, ebook), although it seems to be available in some stores now. 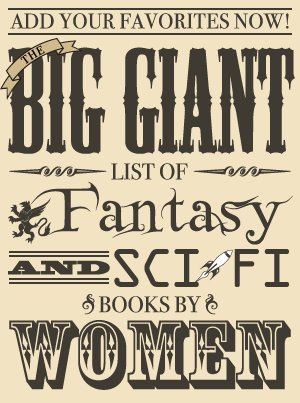 The author is currently working on a prequel. When all faith in humanity seems lost, a startling proposal is announced: Solomon Chavez, the mysterious son of the world’s first trillionaire, announces that he, backed by a consortium of governments and wealthy donors, will build an interstellar starship—one that will convey a select group of six thousand individuals, all under the age of fifty, with no living relatives, to a recently discovered planet in the Epsilon Eridani star system. His goal is lofty: to build a colony that will ensure the survival of the human race. However, Solomon Chavez has a secret that he doesn’t dare share with the rest of the world. With the launch date rapidly approaching, great odds must be overcome so that the starship Solomon’s Arrow can fulfill what the human race has dreamed of for millennia: reaching for the stars. The goal is noble, but looming on the horizon are threats nobody could have imagined—ones that may spell the end of all human life and end the universe as we know it. 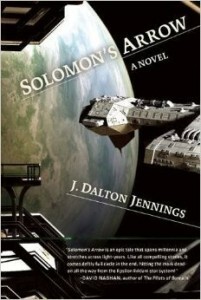 This science fiction novel, the first in a trilogy, was released last week (trade paperback, ebook). The next two books are both scheduled for publication this year with Kill by Numbers coming in September and No More Heroes in November. Set in the wake of a galaxy-wide war and the destruction of a human empire, The Dangerous Type follows the awakening of one of the galaxy’s most dangerous assassins and her quest for vengeance. Entombed for twenty years, Raena has been found and released. Thallian has been on the lam for the last fifteen years; a wanted war criminal whose entire family has been hunted down and murdered for their role in the galaxy-wide genocide of the Templars. His name is the first on Raena’s list, as he’s the one that enslaved her, made her his assassin, and ultimate put her in a tomb. But Thallian is willing to risk everything—including his army of cloned sons—to capture her. Now it’s a race to see who kills whom first. Alternatively, Gaven has spent the last twenty years trying to forget about Raena, whom he once saved and then lost to the clutches of Thallian. Raena’s adopted sister, Ariel, has been running from the truth: the one about Raena, about her and Gaven, and doesn’t know if she’ll be able to face either of them. 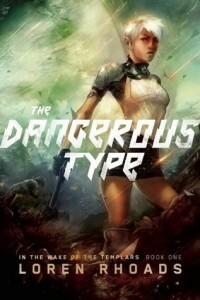 The Dangerous Type is a mix of military science fiction and an adventurous space opera that grabs you from the first pages and doesn’t let go. Along with a supporting cast of smugglers, black market doctors, and other ne’er-do-wells sprawled across a galaxy brimming with alien life, The Dangerous Type is a fantastic beginning to Loren Rhoads’s epic trilogy. 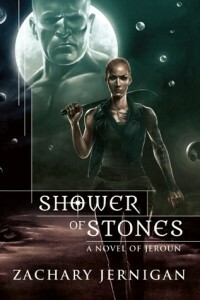 Shower of Stones is scheduled for release on July 14 (hardcover, ebook), although it seems to be available now in at least some stores. An excerpt from No Return, the previous book, can be read on A Daily Dose of R&R. At the moment of his greatest victory, before a crowd of thousands, the warrior Vedas Tezul renounced his faith, calling for revolt against the god Adrash, imploring mankind to unite in this struggle. With no allegiance to either side, the disgraced soldier Churls walks into the divided city of Danoor with a simple plan: murder the monster named Fesuy Amendja, and retrieve from captivity the only two individuals that still matter to her—Vedas Tezul, and the constructed man Berun. The simple plan goes awry, as simple plans do, and in the process Churls and her companions are introduced to one of the world’s deepest secrets: A madman, insisting he is the link to an ancient world, offering the most tempting lie of all… Hope.